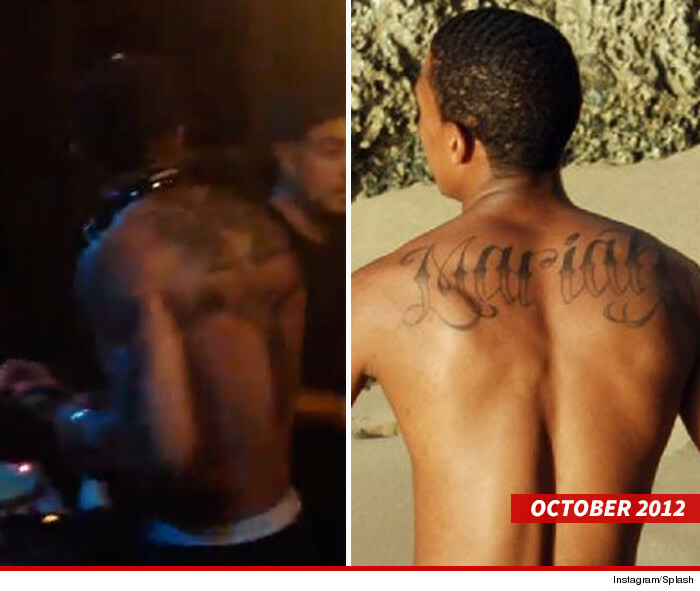 Nick Cannon was at Playhouse in Hollywood on Thursday night to celebrate his birthday. As celebs are known to do, Nick took off his shirt at one point and revealed a new tattoo, turning the 'Mariah' tattoo on his back to a Jesus Christ. Considering how blurred the photo is, it's hard to make out the details but sources close to TMZ say the tattoo shows Jesus on the cross with angel wings coming off the end of the cross. And in what looks pretty heavier than a coincidence, Amber Rose was present too.